Rockman Corner: Got Questions For The MML3 Staff? Got Questions For The MML3 Staff? 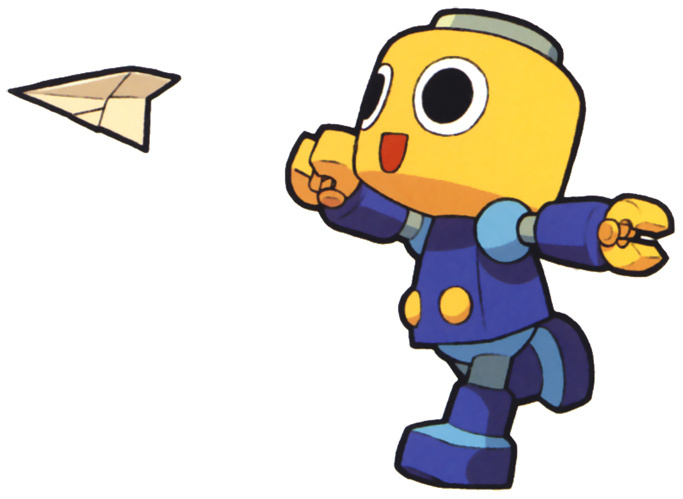 The Capcom Unity Devroom liaison, Greg, is requesting fans to shoot him any and all questions or comments you might have about Mega Man Legends 3, which will then be forwarded to the game's staff. It's quite simple, really: all you have to do is send Greg a direct message with you query, and he'll send it off to the game's staff in Japan. While there's no guarantee you'll get a reply, take to heart that your thoughts will be observed closely by the game's staff... that's pretty neat in it's own right. This direct line of communication is being established as part of an effort to better the fan/developer feedback for Legends 3. Greg has assured fans that he sends a regular amount of feedback to the developers already, but Capcom feels that this direct line of communication could better the process. To contact Greg, you must be a member of Capcom Unity. If you've got that out of the way, feel free to shoot him your thoughts. but i thought we were the MML3 Staff! Well, I already ask the staff they should add an RPG like system for MegaMan in Legends 3. Hope they accept it. Pachislot Rockman Ability Enemy & Weapons Uncovered!